It has been rumoured for some time that this would eventually be bottled, and proof has finally arrived. Also known as CBS, this version of the beer is aged in bourbon barrels though other past versions have also been aged in whiskey barrels. This will be released in 750mL bottles, presumably as part of the Backstage Series. If that holds true, we can expect to see this in 2011. 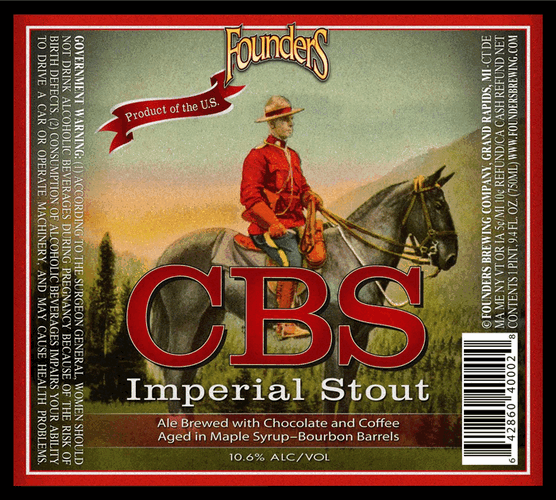 Founders Brewing Co said that they will be announcing the next in the series in September. With the Blushing Monk release (the first in their Backstage Series beer), bottles were limited to two per person and cost $15 each. Bottles were first come, first serve. There was also a very limited amount available for distribution. 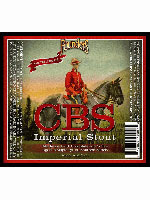 While the CBS release may not necessarily follow suit, it would be a very welcome release for their many followers. CBS is currently ranked the fourth best beer in the world on Beer Advocate and 15th in the world on RateBeer.